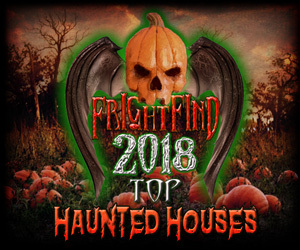 Shocktober: Closed for the 2018 Season, join us for our 2019 Paranormal Investigations, Buy your tickets NOW! Dates: Closed for the 2018 Season, join us for our 2019 Paranormal Investigations! Paxton Manor is Northern Virginia’s only REAL Haunted House and the best destination for Halloween entertainment in Leesburg, Virginia and the DC area. Brand NEW this year the first 3 levels of the haunted manor has turned into Paxton Hall, a horrifying and haunted boarding school. Encounter new characters, including rebellious students and frightening teachers, as you unravel the dark and mysterious past of Paxton Hall. The haunt also includes Carnival of Souls, the basement of Paxton Manor, an attraction full of creepy clowns and carnival carnage. Our haunted attractions are not for the faint of heart, this annual event is PG-13 Scary Fun. Order Valtrex at ValtrexDrugs. The course of symptoms was comprehensively assessed by the investigator on a four-category scale before and after the initiation of Valtrex therapy. Attractions include: 3 levels of Paxton Manor, PLUS its basement, Carnival of Souls.